This is one of those moments that really takes a camera to show. 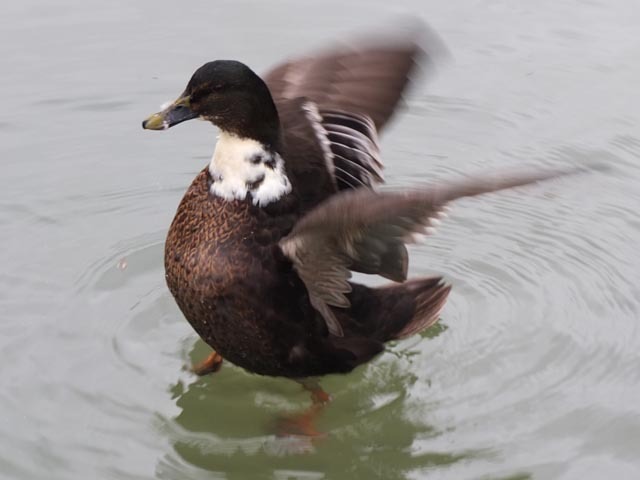 The duck is stretching upwards, displaying its chest and beating its wings. With the eye one sees just the movement of the wings but with the camera one can see that that movement is isolated and the rest of the body is much more still. There is an endless fascination in watching the way animals move. It is not a zoological interest as I gather no information. It is more a matter of having ones attention held by shape and movement.